Guitarist Bernie Marsden will be forever known for his stint in Whitesnake where his partnership with fellow guitarist Micky Moody supplied the blues licks for ex Deep Purple frontman David Coverdale. The ‘Ready And Willing’ album and its huge UK hit single ‘Fool For Your Loving’ still sound great in 2014, but as the musical landscape changed, Coverdale found MTV, and that was pretty much that. Over the intervening years Marsden has been very busy indeed with his solo career and as a member of AOR / Melodic Rock act Alaska and Company Of Snakes. 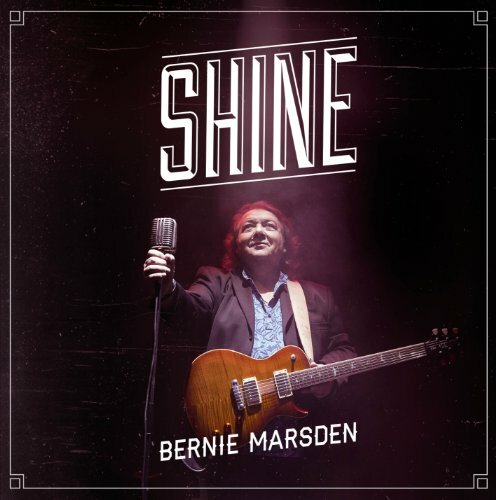 His latest release ‘Shine’ really is a quite fantastic album, superbly produced and played. It echoes back to the musical roots of Mr. Marsden but, due the production and execution, sounds modern and relevant in 2014. The mix of songs, both old and new, all meshes well together and allows the album to flow. Standouts include the blues stomp of ‘Trouble’ fronted by David Coverdale, who sounds quite superb, while the hard driving title track with Joe Bonamassa should keep Deep Purple fans very happy. Elsewhere ‘Walk Away’ and the eco-friendly ‘Who Do We Think We Are?’ show another side of Marsden as does a lovely version of ‘Dragonfly’ the Fleetwood Mac track originally from 1970. This is an interesting choice as the Danny Kirwan penned tune did not appear on a Fleetwood Mac studio album and seems to have been under appreciated by many over the years. A very welcome return for the guitarist who looks to be keeping busy with a solid slate of gigs lined up for the rest of the year.